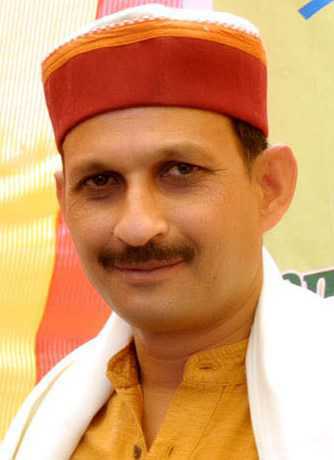 Himachal BJP chief Satpal Singh Satti on Monday refused to apologise for allegedly making a derogatory comment against Congress president Rahul Gandhi, saying he was merely reading a message shared widely on social media, asking party workers not to forward such texts. He said rather the Congress president should apologise for calling Prime Minister Narendra Modi a ‘chor’. Himachal Congress chief spokesperson Naresh Chauhan had on Sunday accused Satti of making a derogatory remark against Rahul Gandhi and sought his apology. Satti told PTI that he merely read out the contents of a message that was already viral on social media. “I have narrated an incident while addressing a public meeting in Nalagarh tehsil of Solan district whereby a derogatory remark was made against Rahul in retaliation of using ‘chor’ word for PM in a viral social media message,” he said. “The person who used the derogatory word and made such a message viral could not be our worker. Even then I asked my workers to restrain from using such remark or sharing such messages,” Satti said. “They should hear my speech in totality and then they will come to the conclusion that I have not used any derogatory remark against Rahul Gandhi,” Satti said.